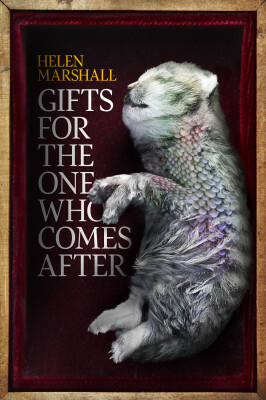 Helen Marshall’s “Gifts for the One Who Comes After” is her love letter to storytelling. Marshall examines the way that we are shaped by the tales we tell ourselves and the stories that are told about us. She reminds the reader that we are made up as much of stories as we are of matter, and that they shape the way we think about ourselves and those who are around us. Marshall’s exploration of stories is not a fairytale lens of joy, but rather an exploration of the potential for tales themselves to capture a quality of the grotesque, the terrifying horror that we can be shaped by words and ideas outside of ourselves. From capturing the horrifying perceptions of children, the dark, strange worlds they carry around in their heads to exploring the shifts that occur between our expectations of a story and their reality, “Gifts for the One Who Comes After” is a text of mythical magic, but not the easy, happy, uncomplicated myths of modernity, but the dark, deep, blood-soaked myths of the past. Her tales are not made to reassure, but to challenge our perceptions, to push the reader into those places where we try to bury our stories. Marshall focuses on children and the elderly, the people with most associate with either being shaped by tales or shaping us by telling tales to us. She examines the idea that the bonds between us are made of strings of words and occasionally these strings tighten around us like a noose. “Gifts” looks at the innocent games of youth and illustrates the nightmarish content of them from children prophesizing in the woods by bringing themselves close to death, to the dark undertone in the desire for magic, to the horrifying imagination of children, to the desire to stand out and be considered important. It looks at the aged in their desire for immortality by sharing stories, keeping memory alive, resisting forgetting and loss, the connection to tradition, and through the assumptions we create about the elderly. Stories are the methods used to imagine the future, reflect on the past, and explore the hidden corners of the present. Exploring the dark potential of the future through omens, dreams, and prophesy, the past through memory and collective tales, and the present through gossip and rumour, Marshall highlights the potential for stories to create a morae-like thread through time, weaving possibilities together in a nighmarish tangle of possibility. We are distant from our dead. In urban centres, we build over the dead, erasing the history of what came before us in our construction of the new. Kate Heartfield’s Their Dead So Near takes us into Ottawa’s Macdonald Gardens, called by those in the know, those who are fascinated by the macabre as the Boneyards and gives voice to the dead, buried over by a society that seeks to cover things over, hide them, bury them, and scrub them clean. Heartfield reminds readers that we are always walking on the bones of the dead, supported by their detritus while we tread over history. Graveyards are places of discomfort for us – reminders of our own mortality – so we seek to render memory and place more “hygienic” by erasing the miasmic reminders of our own doom. We seek to forget names, forget history while giving token reminders in the form of small plaques that speak of a place we no longer want to recall. Heartfield speaks for the dead, giving them voice in her short story Their Dead So Near, bringing readers close to those remnants of the past poking up into modernity, demanding to be heard, asking us to scrape the surface of urban reality to see what rests beneath the surface. To read Their Dead So Near, visit Lackington’s website at http://lackingtons.com/2014/02/13/their-dead-so-near-by-kate-heartfield/ . To explore more of Kate Heartfield’s work, visit her website at http://heartfieldfiction.wordpress.com/ . A Review of Eileen Kernaghan’s Sophie, In Shadow (Thistledown Press, 2014). Suspended in the icy waters of the Atlantic Ocean after the Titanic was pulled beneath the waves, Sophie’s life was forever marked, forever suspended between life and the icy, shadowy depths of death. Re-living her brush with death in her dreams, Sophie brings visions of tragedy into her waking world, piercing the veils of the present to experience tragedies and horrors of the past, present, and future, moments steeped in death. Death chases Sophie like an impenetrable miasma, thickening in moments of dislocation from the quiet life and English gentlewoman is supposed to experience, and drifting in clouds of horror into Sophie’s perception. Eileen Kernaghan creates a sense of wondrous dislocation for the reader, a darkly beautiful reminder that every place is haunted, every locale filled with ghosts of memory from the past. 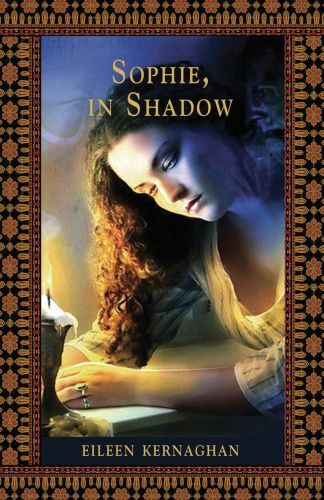 Sophie, In Shadow reminds readers that we dwell in a place of fantasy, of wonder and excitement, and that those dreamy places of magic and mystery are always steeped in the shadows of past horrors and veiled in secrets. We are always one step through the veil of time away from tragedy. Kernaghan reveals landscapes written about as darkly mysterious in the era of British colonialism and scarred by that process of colonial control, made dark by the tragedies committed to maintain colonial control and mysterious by the secrecy and denials of those in power. Sophie’s sense of dislocation from a life marred by tragedy and her ability to see tragedies of the past, present, and future at a distance is mirrored bin the colonial world around her where British subjects try to create an English landscape overtop of the locations they seek to control, building “home” in other territories where they are forever reminded that these places are not home and any sense of home is fiction maintained by harsh regulation, segregation, secrecy, and violence. Set in the early 1900s, Kernaghan creates a novel of secrecy, espionage, violent resistance, and the exercise of power (both within the body through the regulation of psychic abilities, and throughout India through British governmental control). To read more works by Eileen Kernaghan, visit her website at http://www.eileenkernaghan.ca/ . Our worlds are shaped by memory, by our own histories and those of the people and places around us. Memory haunts the pages of Michael Rowe’s Wild Fell, and so does the loss of memory. Jamie’s life has been shaped by memory and loss. His father is gradually losing his memory to Alzheimer’s, and, after a car accident, Jamie lost his own memory, and, particularly his own childhood, to brain damage. 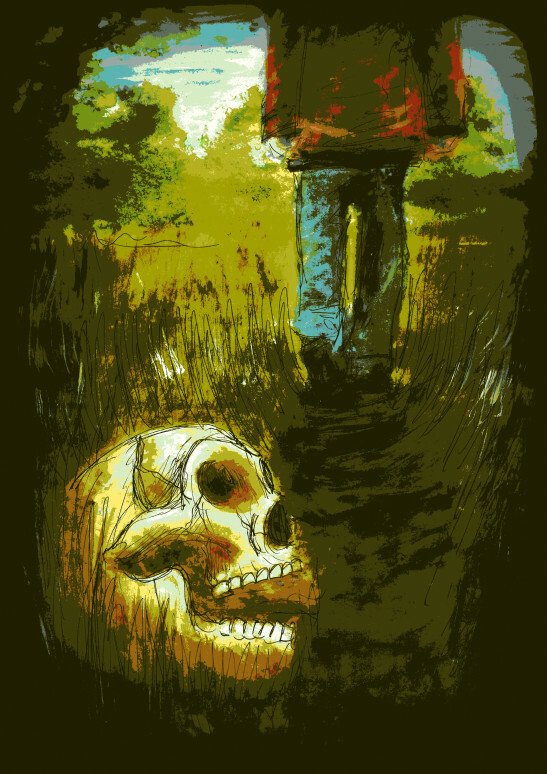 He is left in an uncertain place, a strange place between what he knows to be true and what he can’t trust in himself. He is left in a haunted space. Ghost stories are dark reflections of our dreams about the past, our anxieties, our worries, and the things that we repress, and, from an early age when Jamie looked into his mirror, he could see a dark reflection of himself, a haunted presence from within, a friend within the mirror who haunted him and pushed him toward change. As a child, Jamie had created a friend to deal with loneliness, Mirror Pal, but over time she gradually started to take on a life of her own, shaping herself in his image and taking on an identity of her own as Amanda. She would speak through the young boy’s voice, shaping his throat into her words and trying to shape him into her own image by pushing him gradually to make decisions that she would make. His Mirror Pal made him her own dark reflection. Small towns are haunted places, shaped by their own history and the gossip that permeates them, and Jamie is pulled toward the small Northern Ontario town of Alvina by this mirrored friend from the past. She leads him to a new home, abandoned to history and myth: Wild Fell. Jamie is led to this new (though ancient) home through a combination of losses – his father, his memory, his marriage, and his job. He seeks to create a new place of belonging… in a place that resists newness, an ancient house in the middle of an abandoned lake outside of a small town. Wild Fell itself stands as a dark, ancient character, standing ominously on the precipice of history and evoking a timeless quality and the haunted potential of abandoned historical houses. It literally refuses to age, seeming to await its owner as though still occupied, as though its inhabitants are merely on a temporary vacation and will return at any moment. It is a place of returns. We like to think of ourselves as having all of the power when buying a house – making it ours. But what if we are claimed by our houses? What if they chose us? What if ownership in turn owns us? We are terminal beings and our houses can outlast us – is it any wonder that they begin to accumulate memories, myths, and murmurs of the otherworldly? We are haunted by histories we are not part of – foreign terrains of the past that invite investigation. In Wild Fell, Rowe reminds us that we create reality through memory, construct it out of flashes of neurons… and that reality can change as our memories change. Nothing is fixed, nothing static, but all shiftings of sleep sand and illusions. Wild Fell serves as a dark reminder that everything about our identity is changeable – gender, identity, personality, and desire. Our bodies and spirits interact in complex ways, and nothing about ourselves is stationary. Rowe explores the way we can change with changes in our memories, exploring the relationship between abuse and forgetting – memories that are erased due to trauma that re-surface late like an island in the centre of a dark lake. Wild Fell is made timeless by the abuse within its walls, the haunting return of the repressed – the shattered glass of our mirrored, reflected selves. To explore some of Michael Rowe’s other work, you can explore his website at http://www.michaelrowe.com/ . 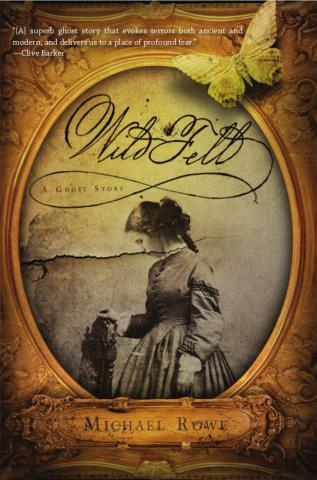 To get your own copy of Wild Fell, check out the ChiZine Publications website at http://chizinepub.com/ . Ursula Pflug writes The Alphabet Stones with a mixture of rural Ontario accent and a transcendent poetic quality. Her work glitters with the cadences of rural ontario while evoking a deeply poetic quality and beauty of phrasing. 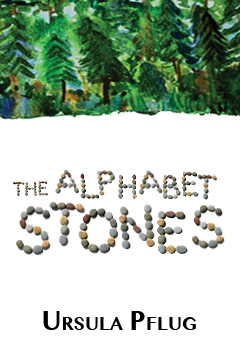 The Alphabet Stones is a voyage of self discovery and delving into the blurry lines between myth and memory, the haunting quality that the past has on the present. Jody is a girl who was raised on a commune with a mother who has been committed to an asylum. The land around the commune and her experiences with others have written themselves deeply into her memory, shaped her into who she is but her memories are suspect, questioned, and shaped by an air of myth. Pflug does an incredible job of exploring the dream-like quality of memory – shifting, changing, and uncertain. But, the memories she explores are literally tinged by the mythic, the unbelievable, and the supernormal. Jody and her friends have had contact with the otherwordly through a mythic place where stones are written with words and images that evoke a world beyond our own, and she has been touched by an element of the fey. Jody is a youth invested with the qualities of old age – she is wise beyond her years and is steeped in a deep nostalgia that often only permeates those later in life – she misses things from her past, feels cut off from her places of origins, and senses that things have fundamentally changed while pining the fact that things will never be the same. She is defined by an inescapable sense of loss. Ursula Pflug wends her story with twining threads of strangeness and loss, the alienating quality of the past. It is fantasy on the cusp of madness, with characters debating the reality of their experiences and the extent to which delusion may have permeated their lives. Her characters prefer to believe that the otherworld is just stress or delusion. It is easier and safer for them to think that the world itself is knowable rather than subject to an uncanny quality, a place infinitely more complex than they can grasp or understand. Pflug doesn’t try to create easy answers in her novel, providing for her readers the same sense of dislocation that is invested in her characters. She allows the readers to truly feel what it is like to stand on the cliff between reality and the mythic, madness and ideas of normalcy. To discover more about Ursula Pflug, visit her website at http://ursulapflug.ca/ .